We do a lot of traditional design work in the mountains, and often times, we will utilize stone columns as a feature at exterior decks, front entries, etc.. Most contractors will typically build these as wood boxes with a plywood or OSB skin, then apply a stone veneer just as you would on the exterior building wall. 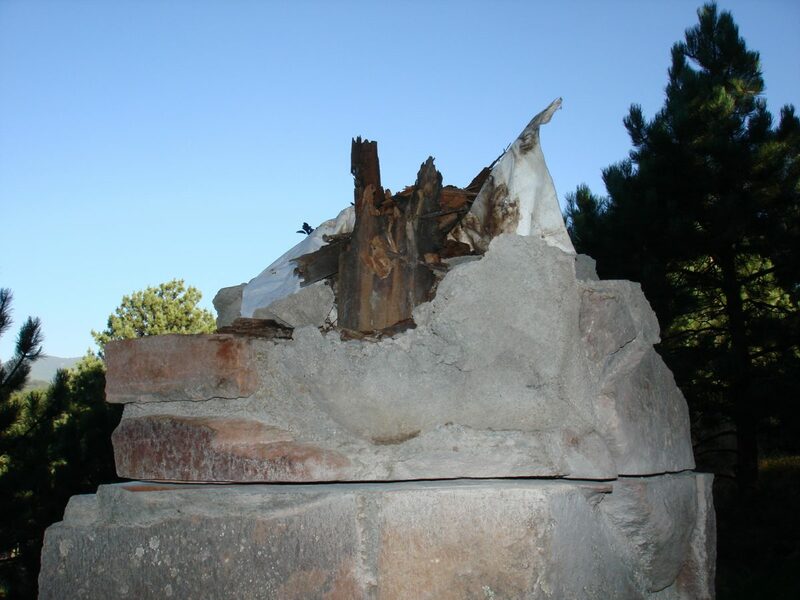 In most cases, this assembly will work fine, however, it is important to note that any penetration through the stone can compromise the weather barrier and cause rot and decay in the wood box inside. Above is an image of the interior framing of a deck post that we did a remodel project for (we didn’t design the original structure). The home was only 10 years old and you can see the damage that the elements made on this structure (and all of the adjacent columns). The deck railings and the deck joists and beams were allowed to penetrate the stone veneer without any detailing to prevent moisture from entering the cavity. Once inside, the moisture was trapped and worked it’s devastating magic. You must be very careful to detail around any penetrations at any stone veneer (column or otherwise) to prevent this damage. Careful attention to flashing and caulking measures are extremely important to keep the moisture out of the cavity. In some circumstances, we even recommend building the column with concrete block in order to completely eliminate any possibility of rotting. At a minimum, all owners should know that these kinds of materials transitions, whether they are on a column, or on the wall of the home, will require annual maintenance in order to keep the caulking and flashing in good condition. These are details that are very subtle, however are a powerful example of how important it is to be very careful when detailing and building these assemblies.